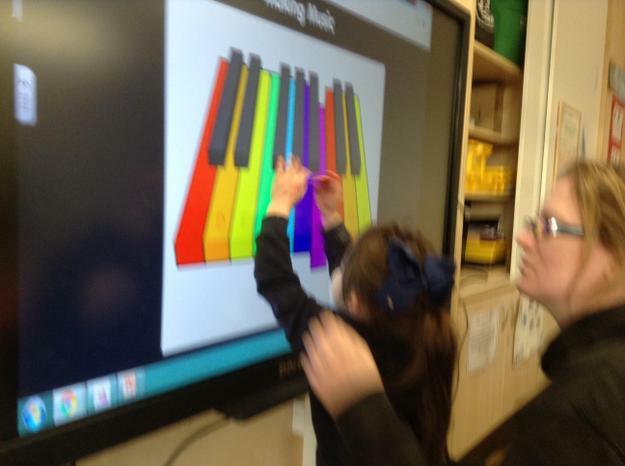 This term we have focused on looking at rain and rainbows. 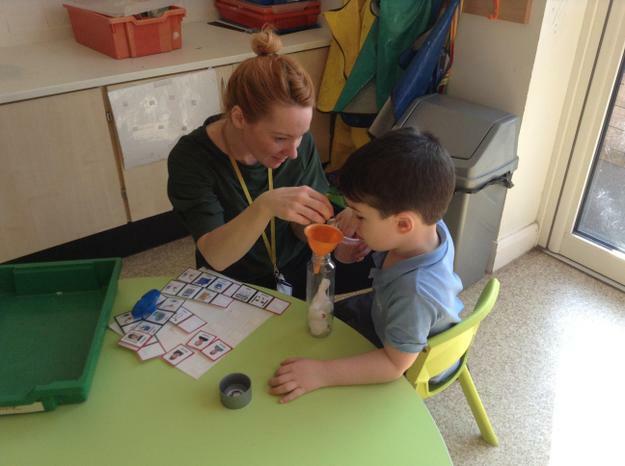 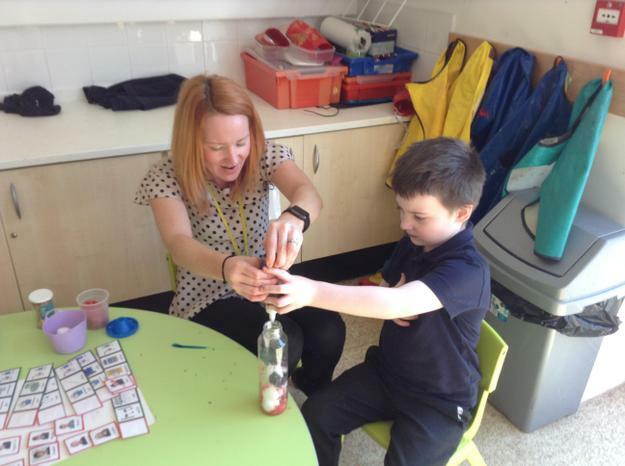 We made some sensory weather bottles using a range of different materials such as cotton wool, dyed rice, cocktail sticks and glitter glue. 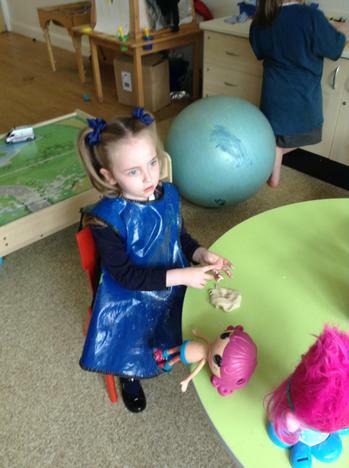 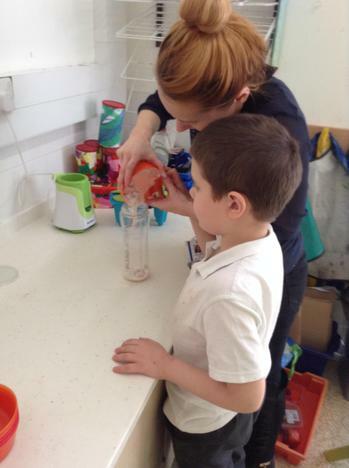 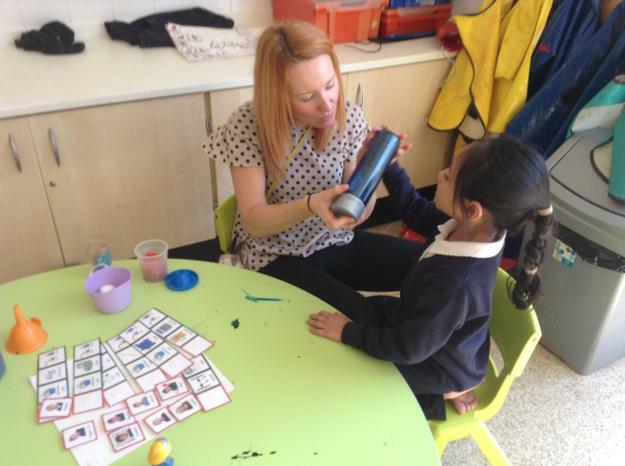 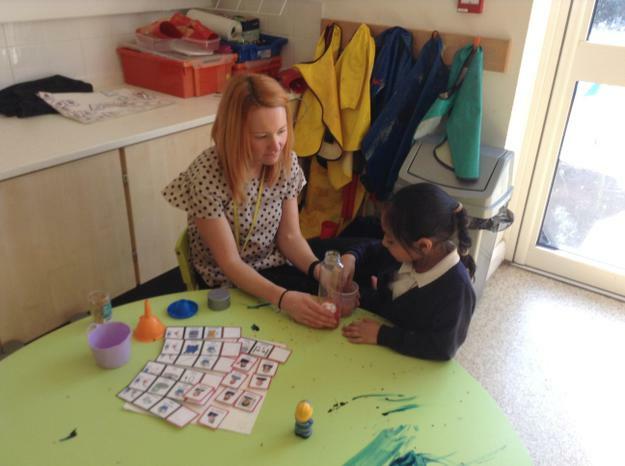 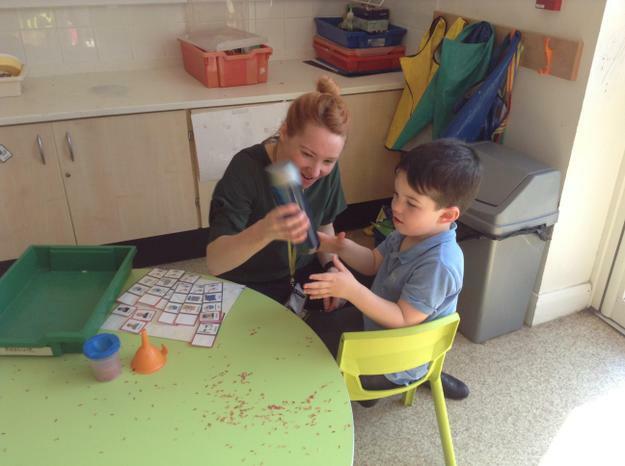 The children enjoyed exploring all of the materials and mixing them together in the bottles. 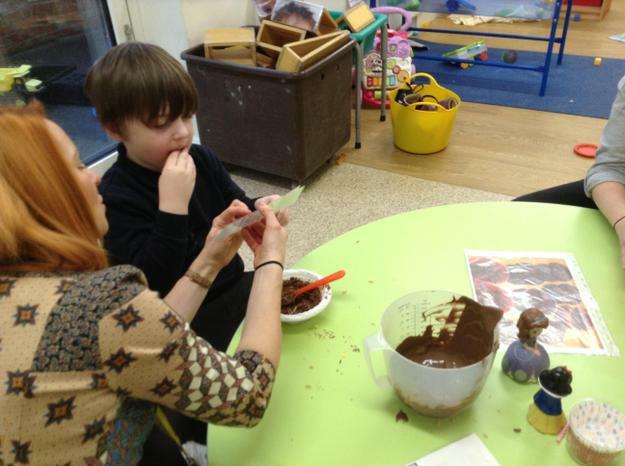 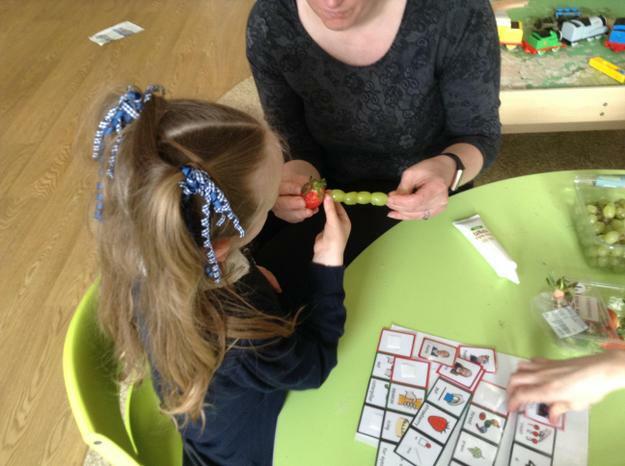 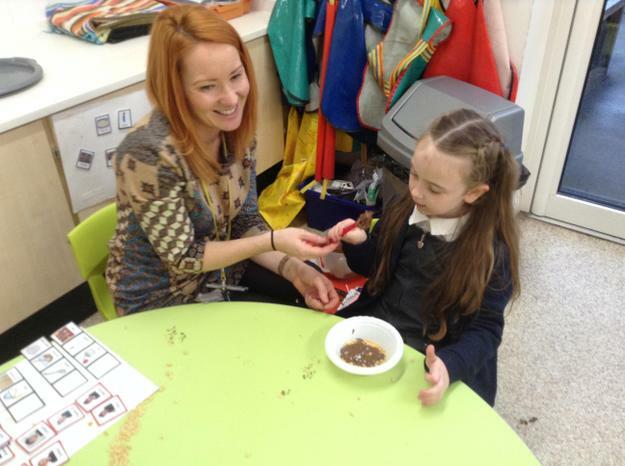 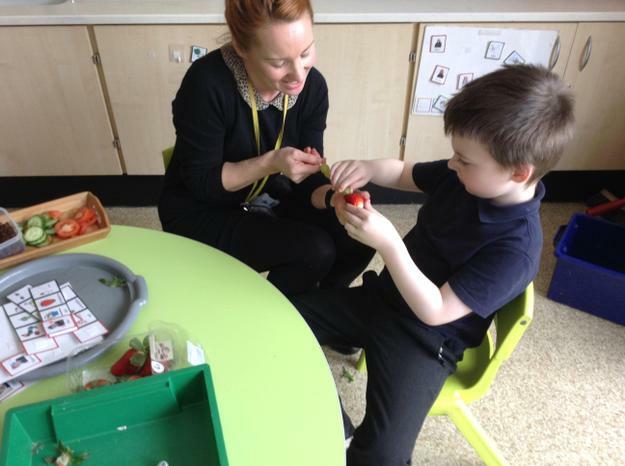 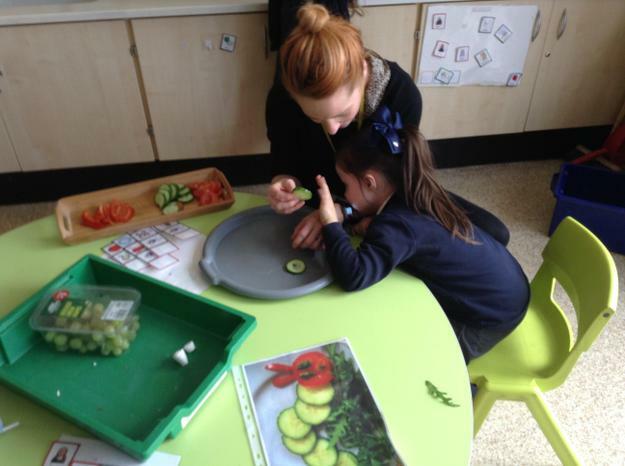 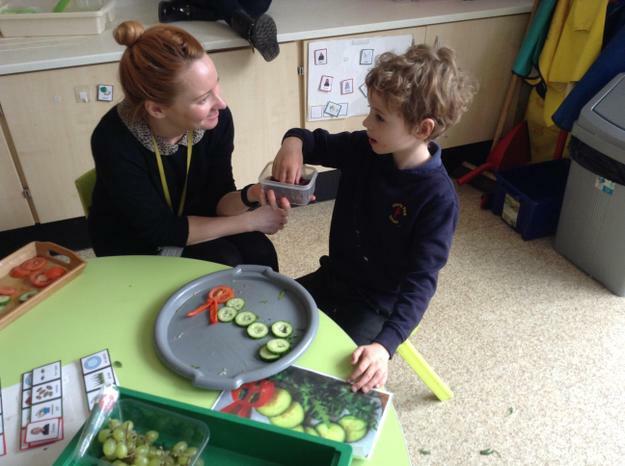 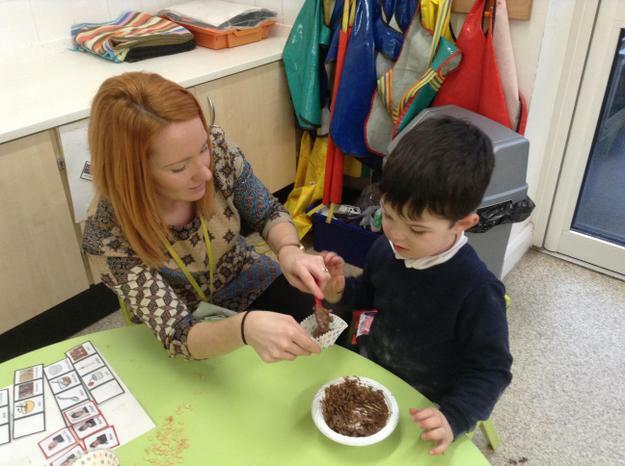 During world book week, we enjoyed using different food to make caterpillars. 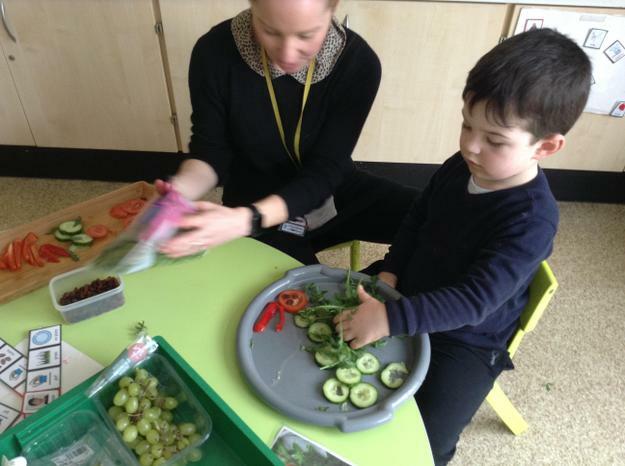 Some of us threaded grapes onto a stick and some of us used different vegetables to create caterpillar shapes. 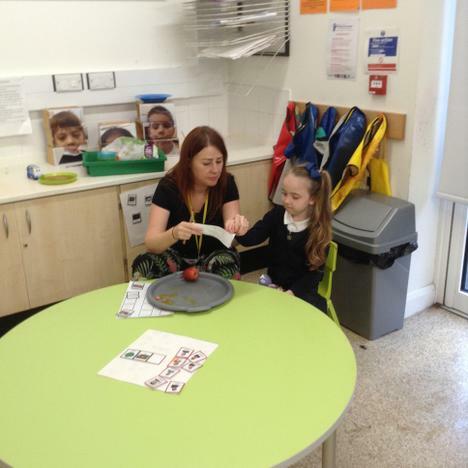 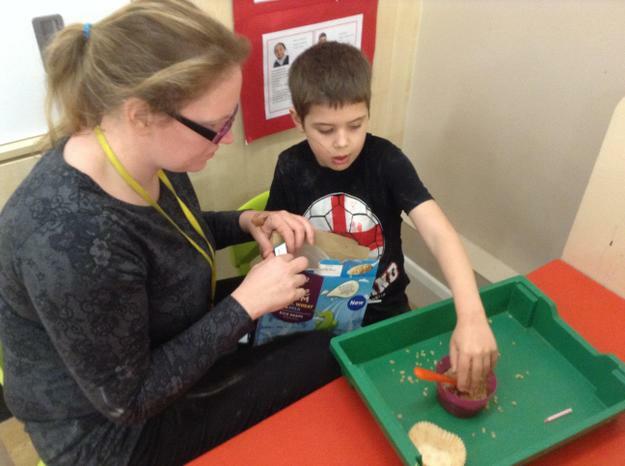 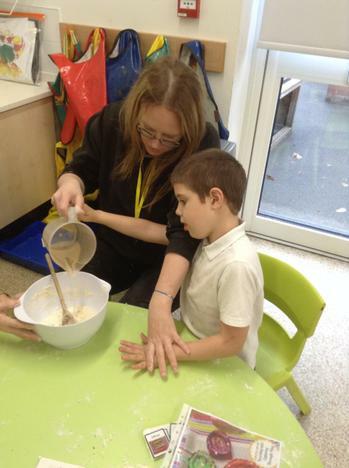 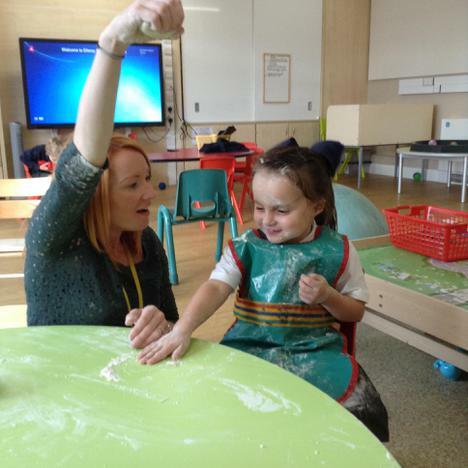 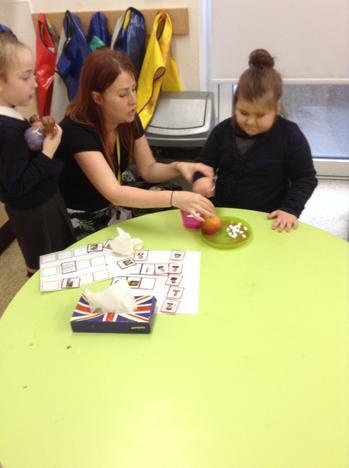 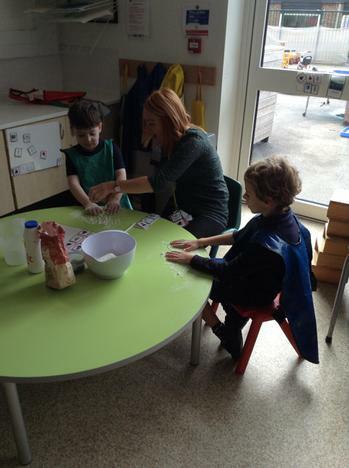 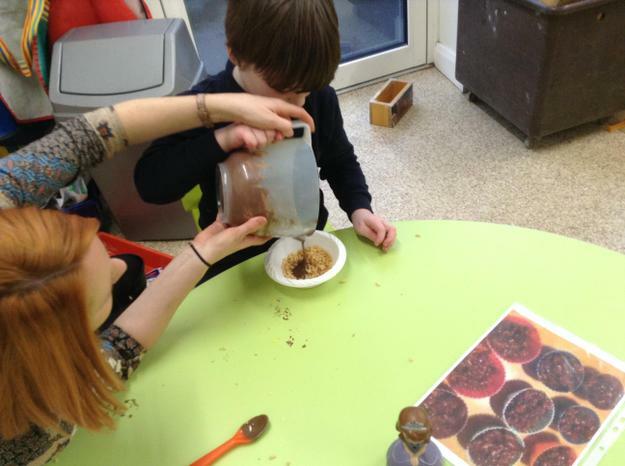 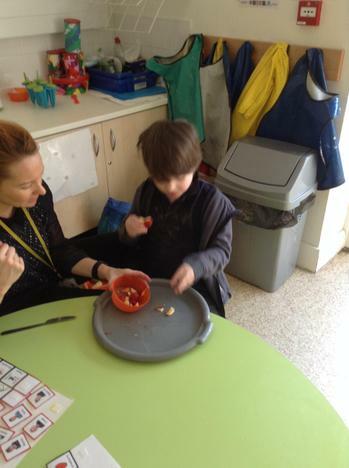 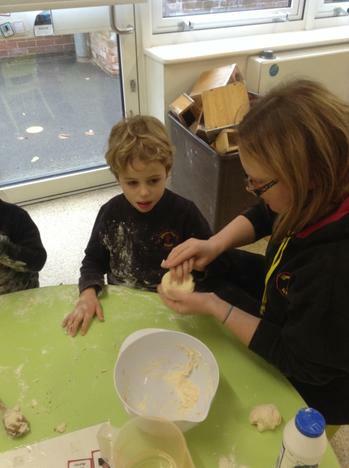 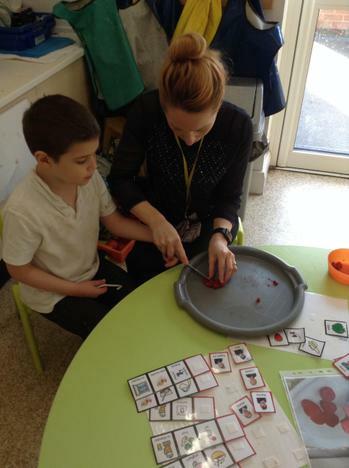 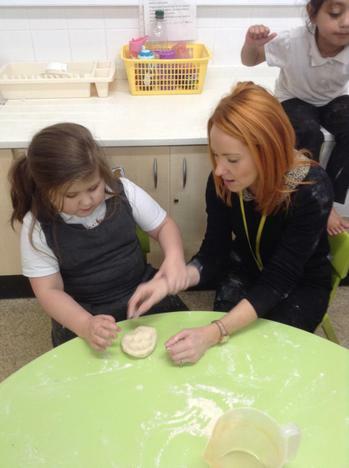 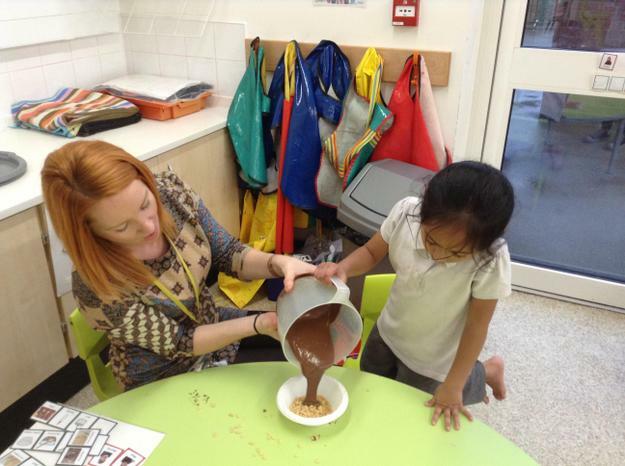 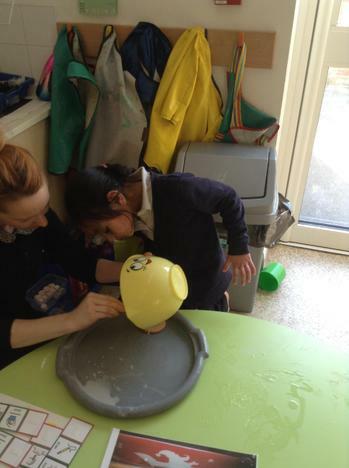 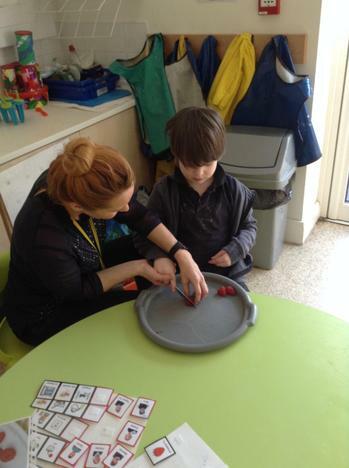 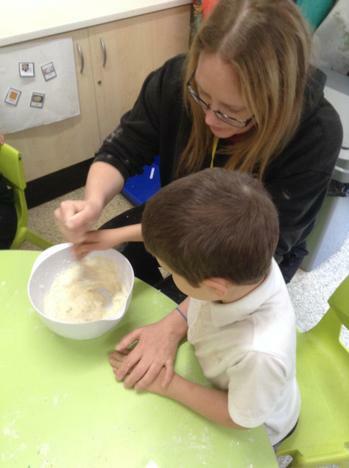 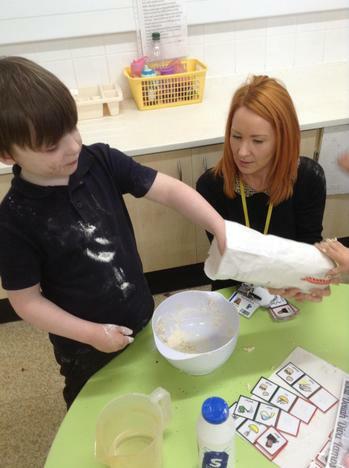 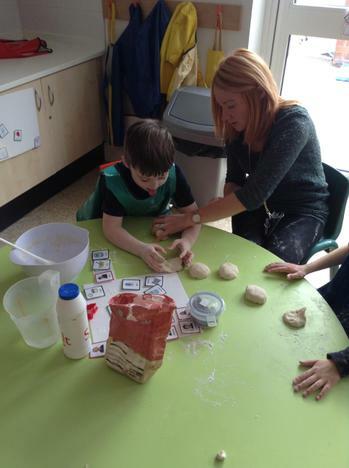 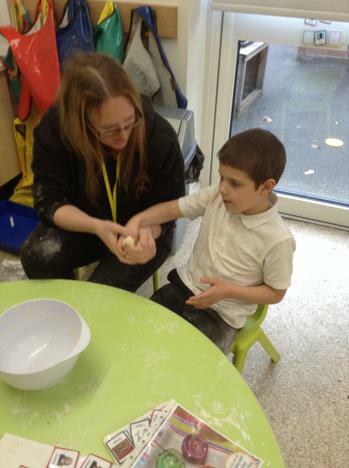 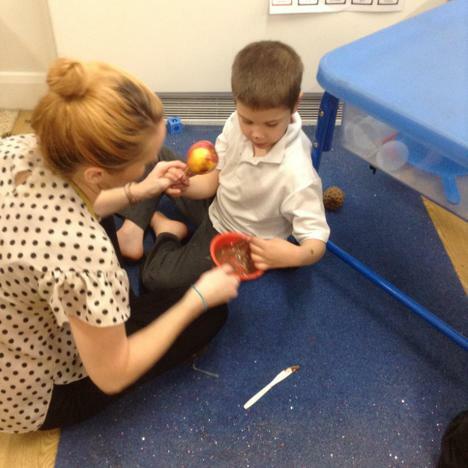 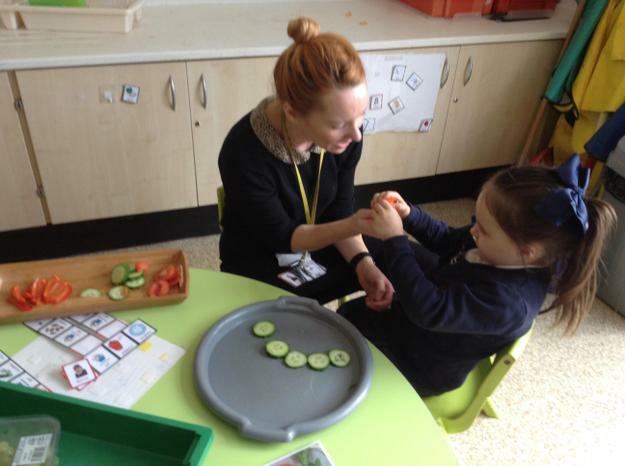 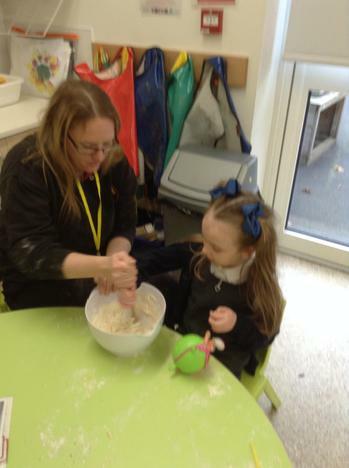 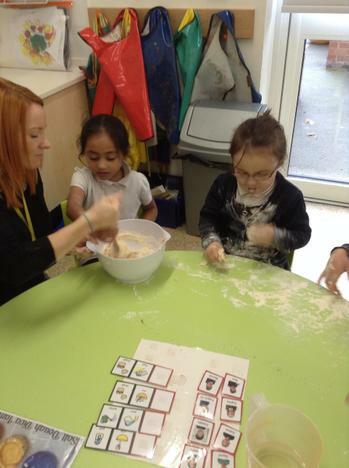 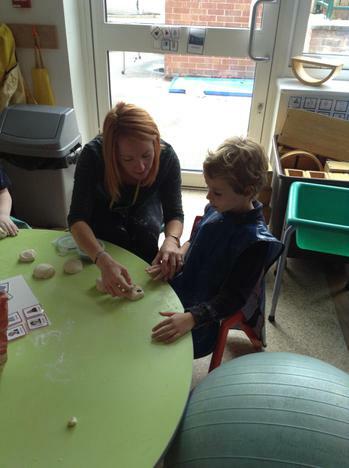 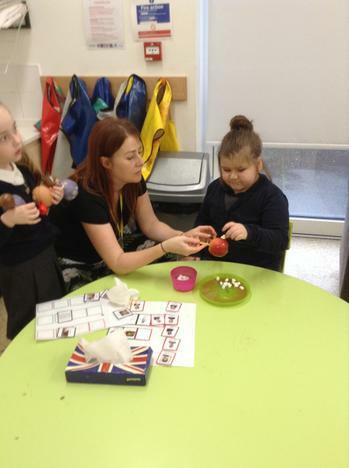 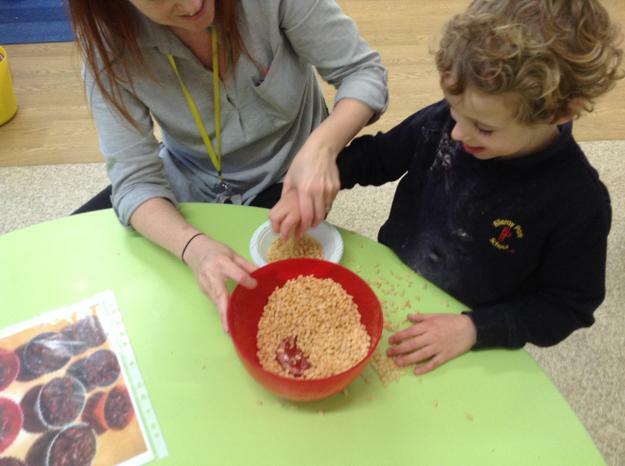 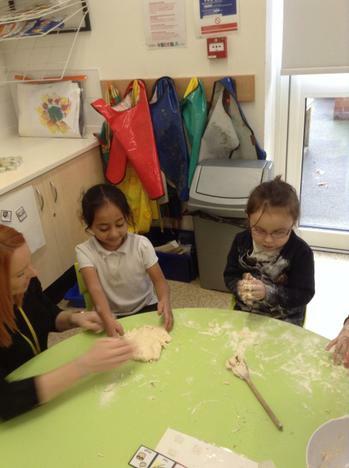 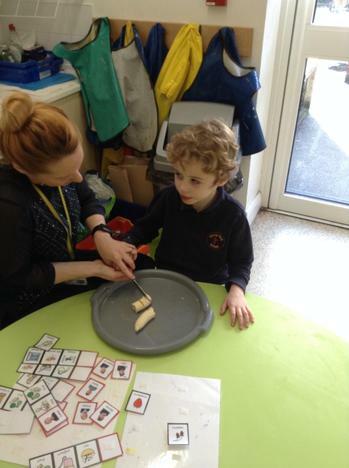 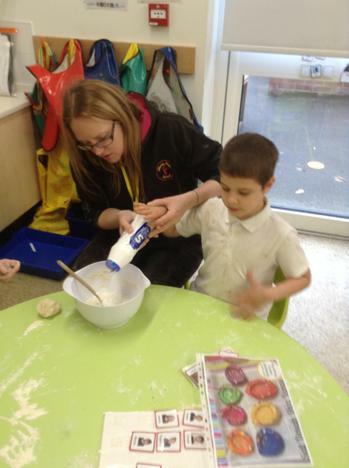 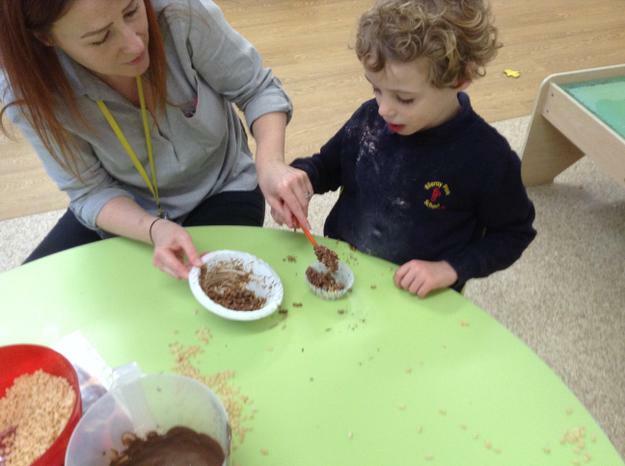 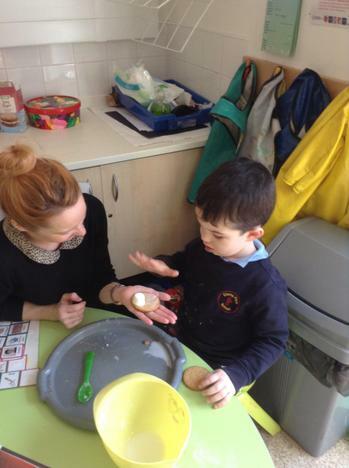 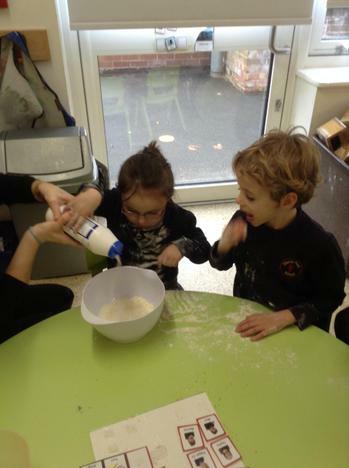 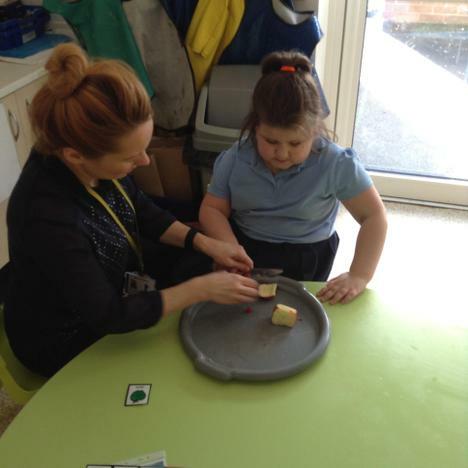 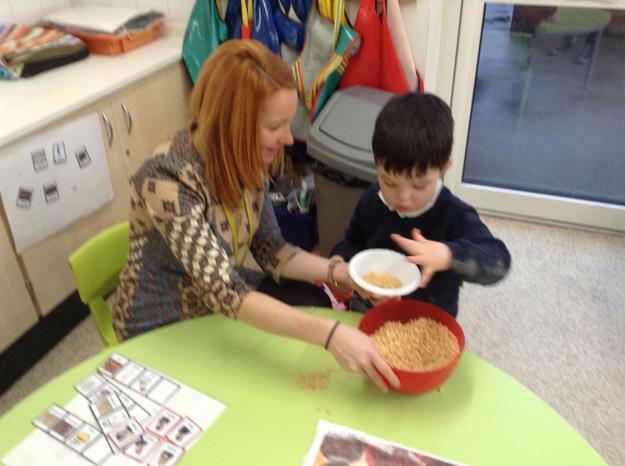 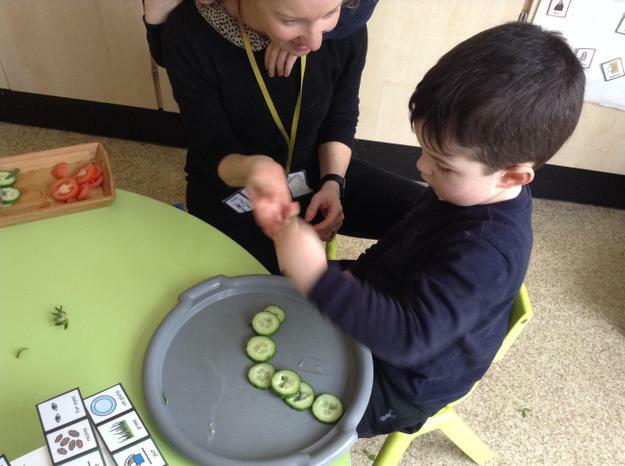 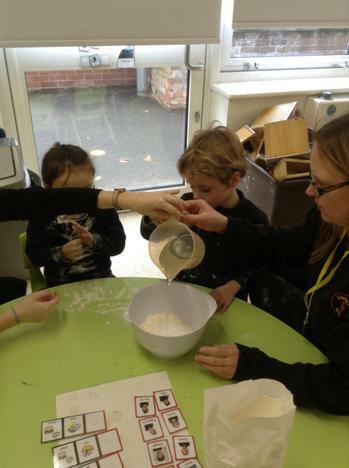 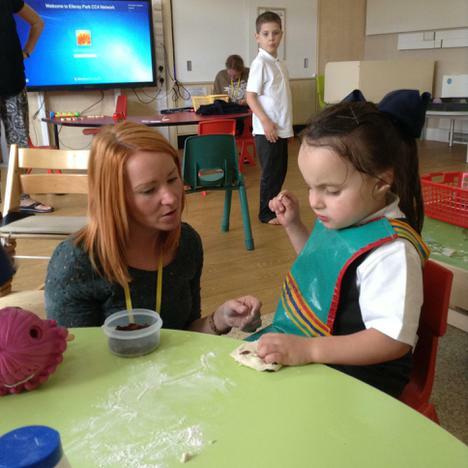 During our weather topic we have enjoyed cookery sessions based around the weather. 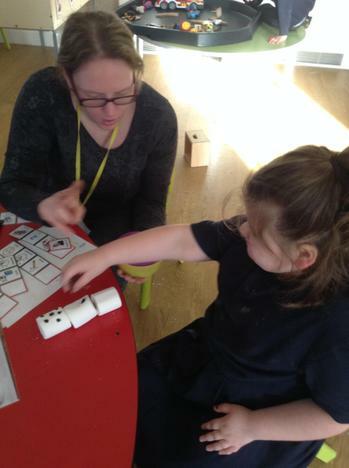 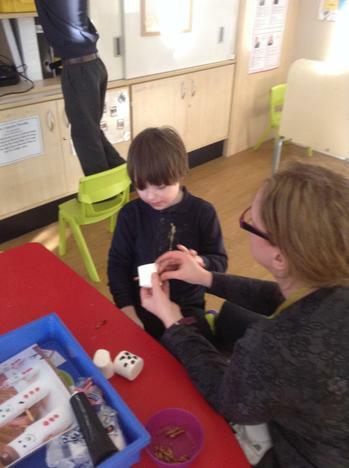 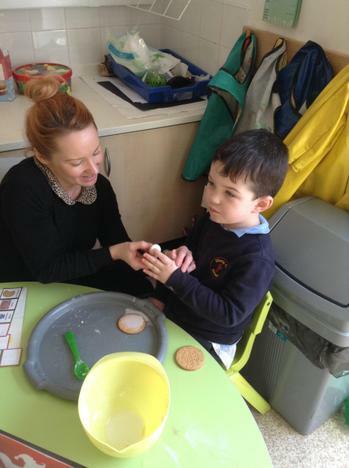 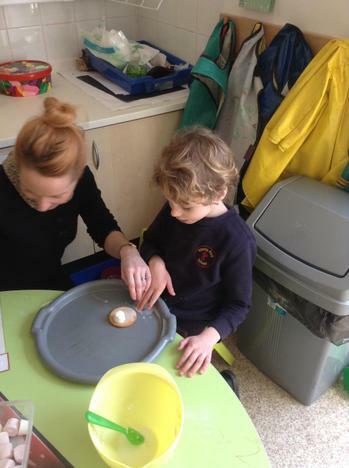 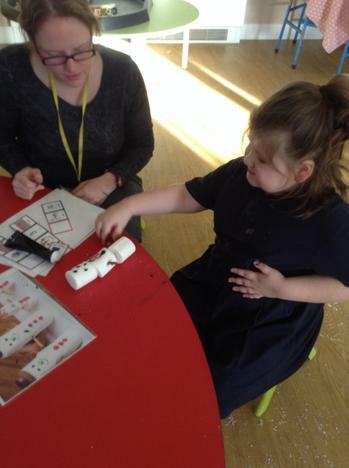 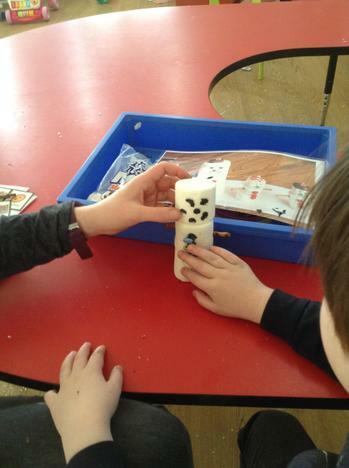 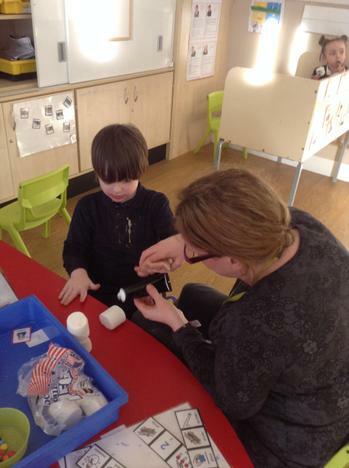 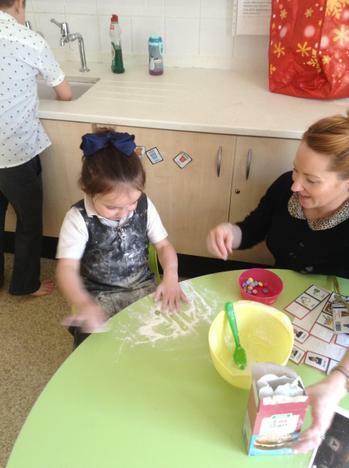 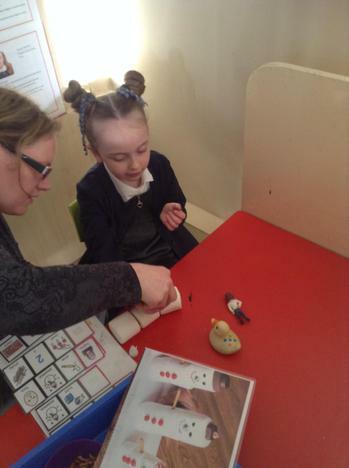 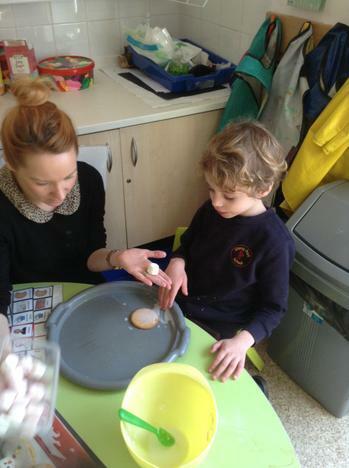 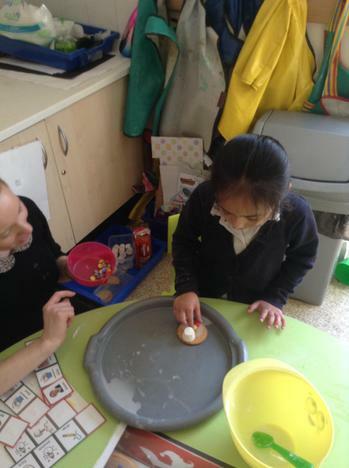 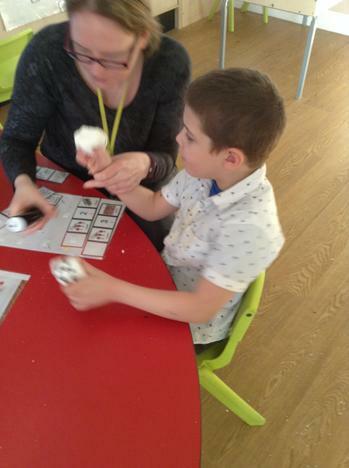 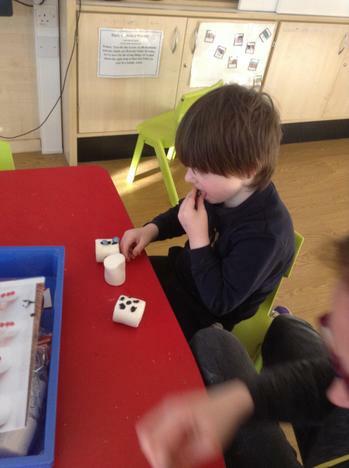 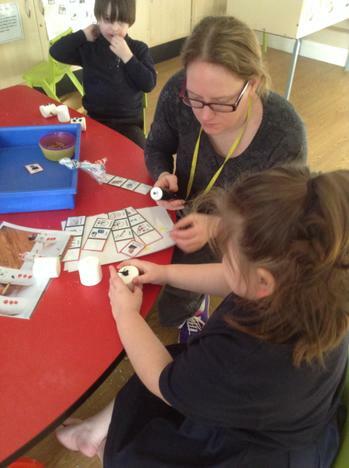 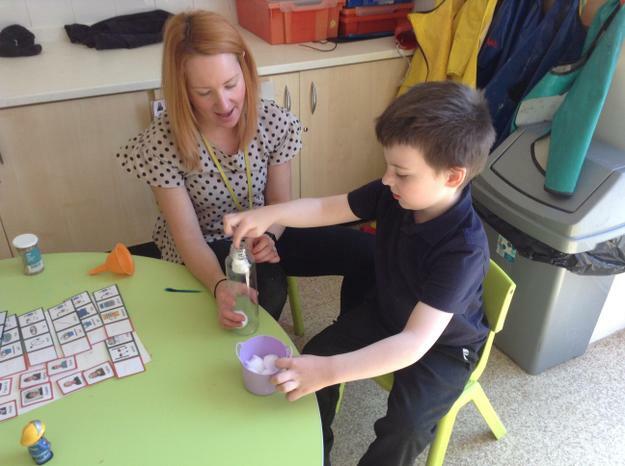 We enjoyed making marshmallow snowmen and icy snowmen biscuits when we were learning about snow and ice. 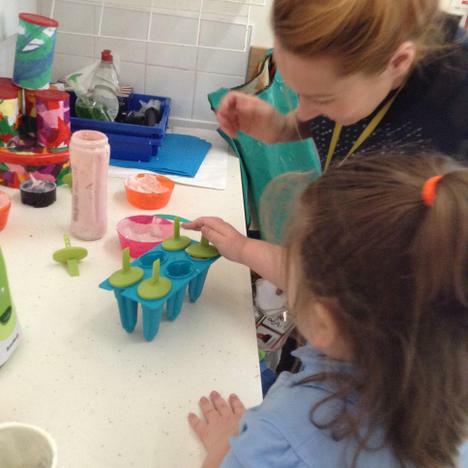 We also used fresh fruit to make frozen ice lollies to explore the process of freezing. 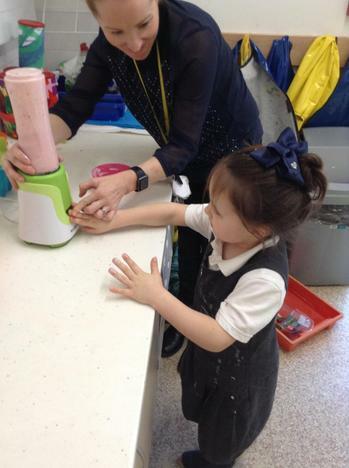 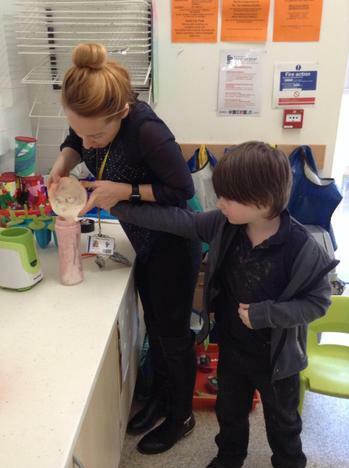 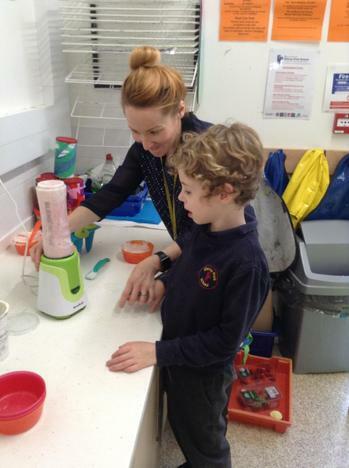 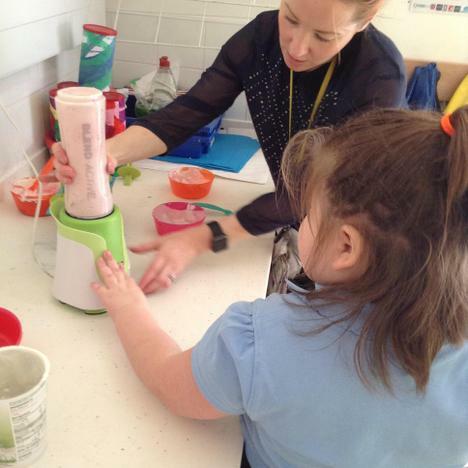 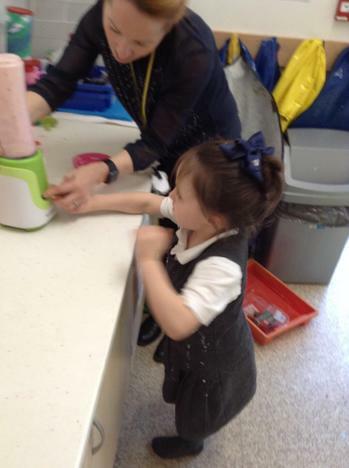 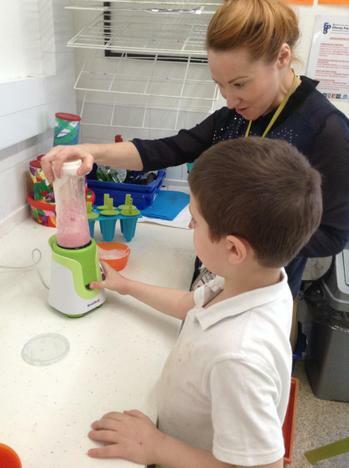 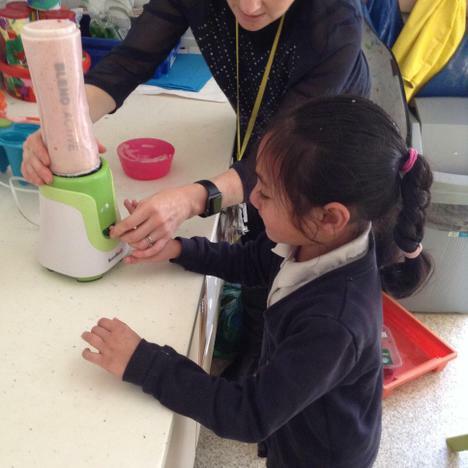 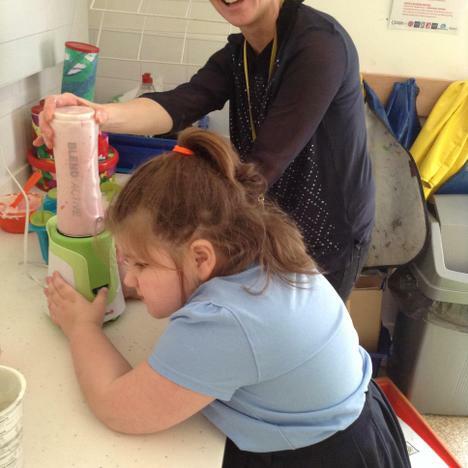 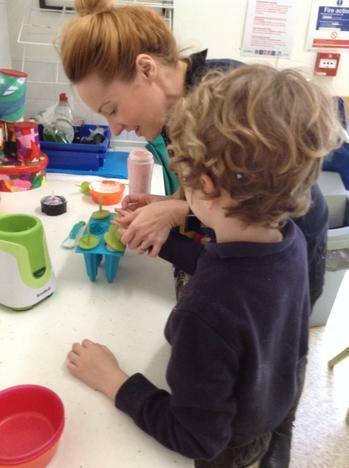 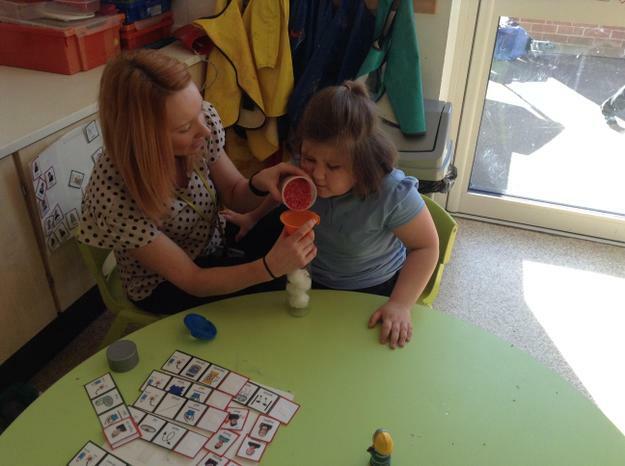 We all enjoyed using the blender! 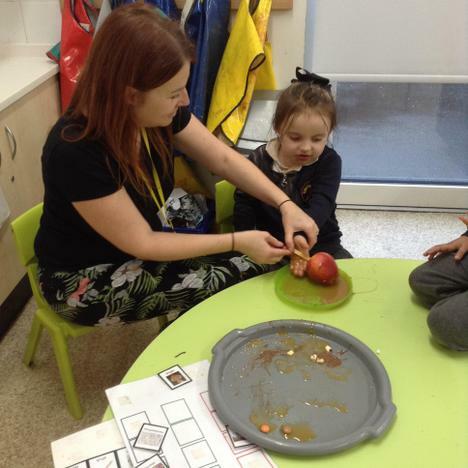 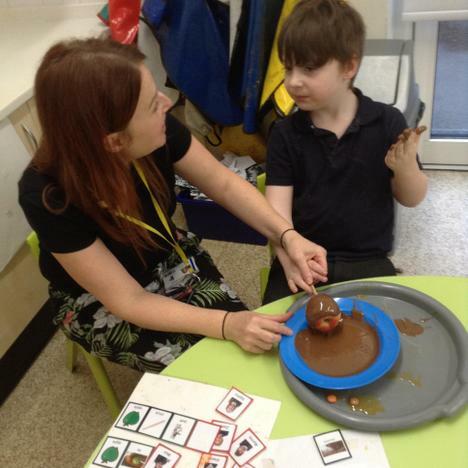 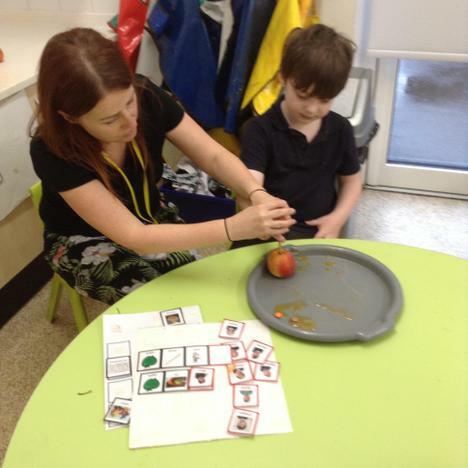 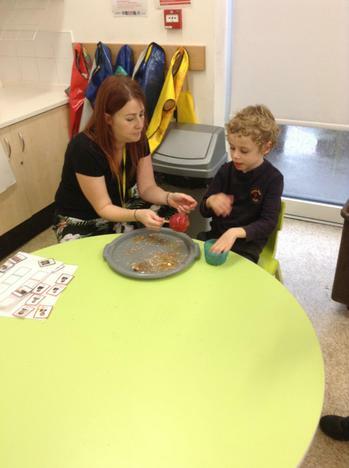 As part of our celebrations topic we have enjoyed learning about the world around us through events such as Bonfire Night, during which we enjoyed making dipped apples using chocolate, toffee sauce and sweets and marshmallows. 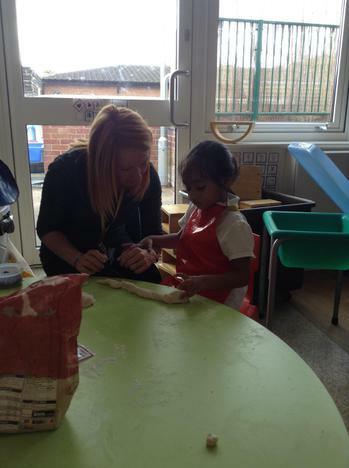 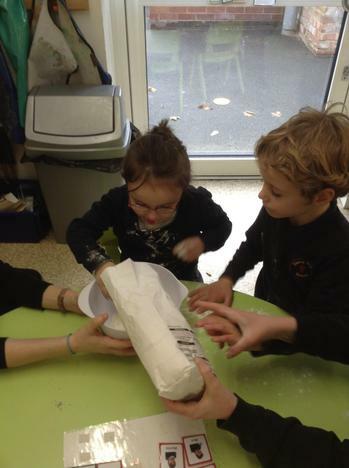 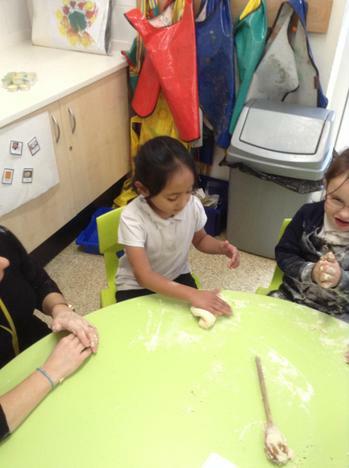 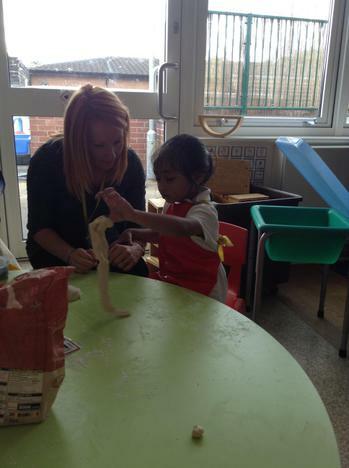 We also explored different materials and physical processes by using flour, salt and water to make salt dough that we moulded into diva lamp shapes whilst learning about Diwali. 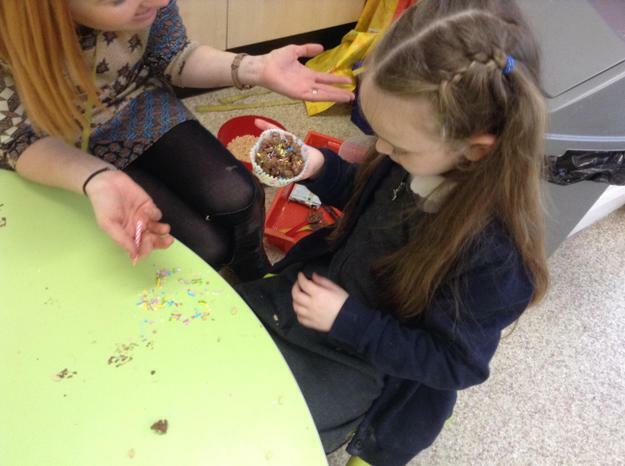 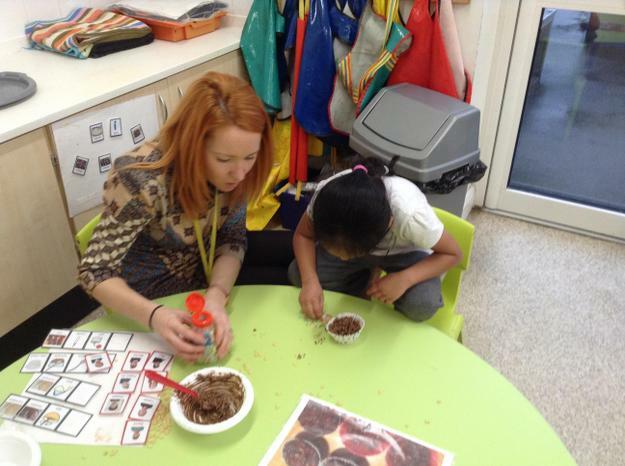 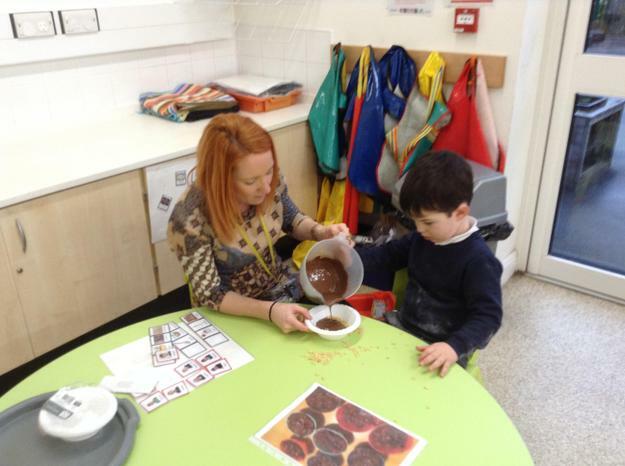 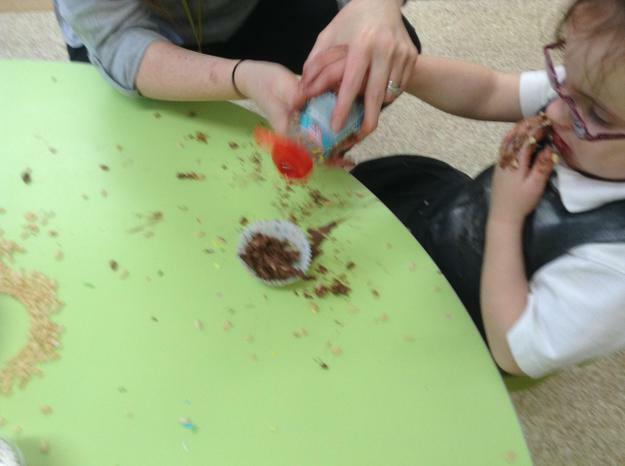 We all enjoyed making a chocolate krispie birthday cake whilst learning about Birthdays. 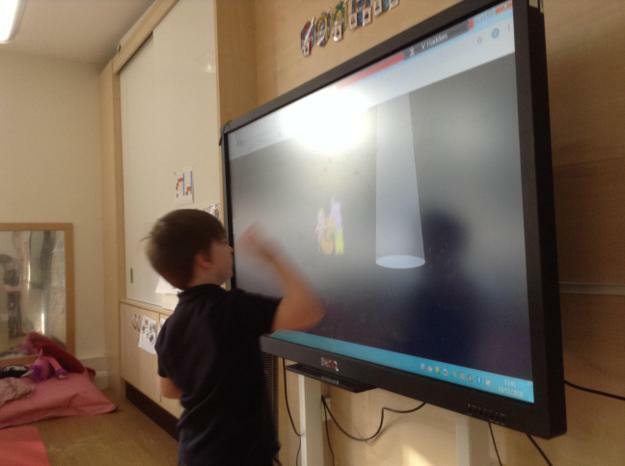 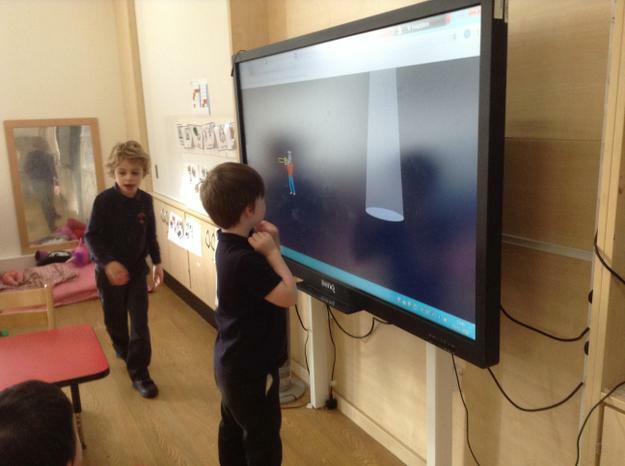 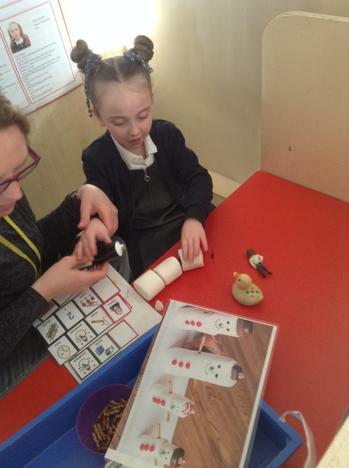 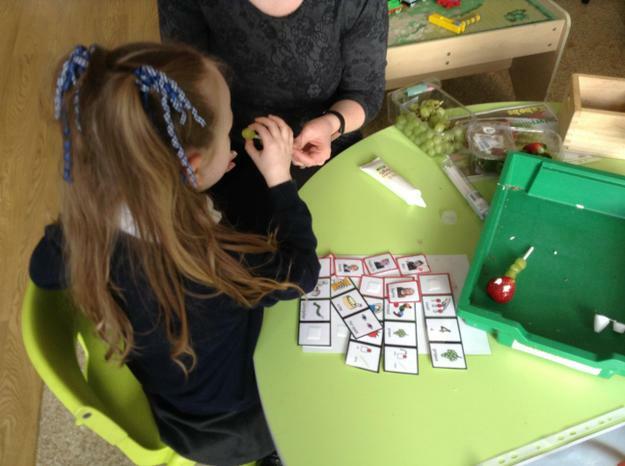 The children in Lime class have been making lots of progress during their ICT lessons. 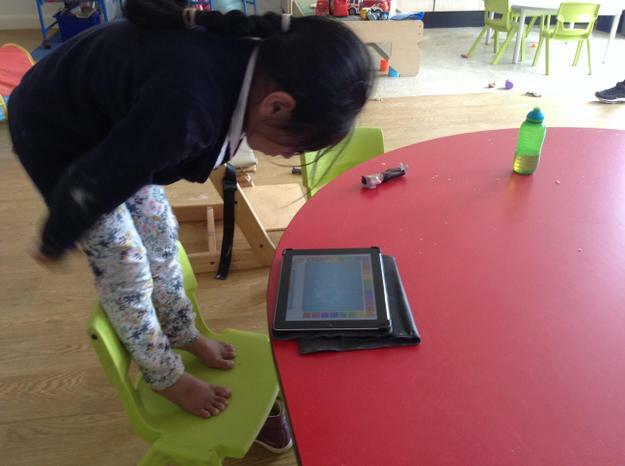 This has included using cause and effect programmes on the IWB that require using the drag and drop technique. 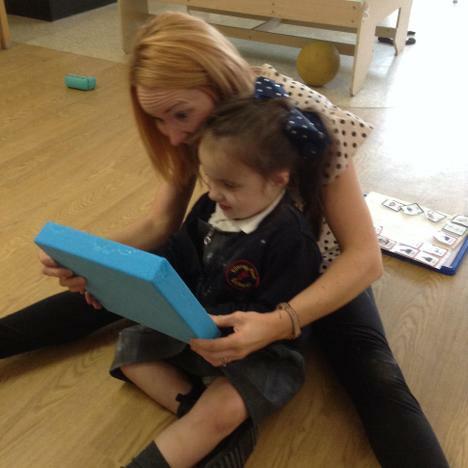 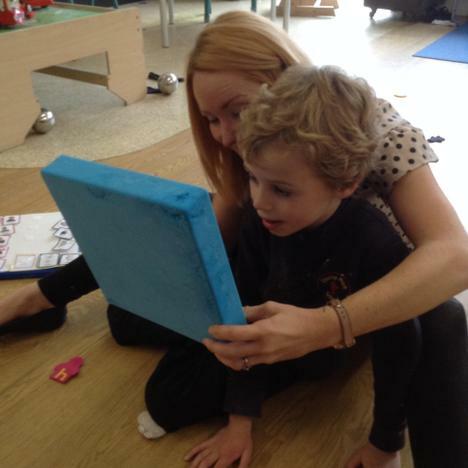 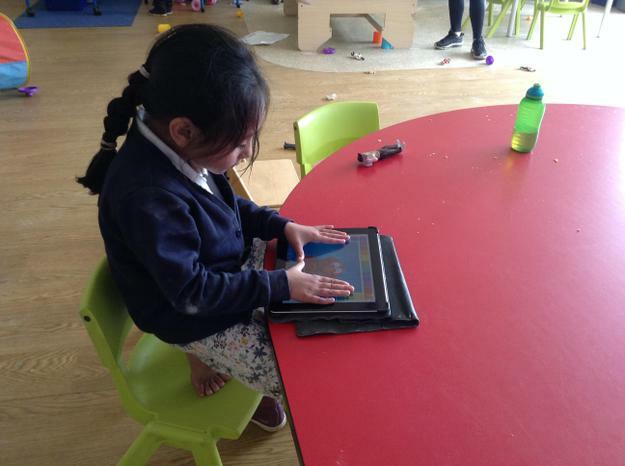 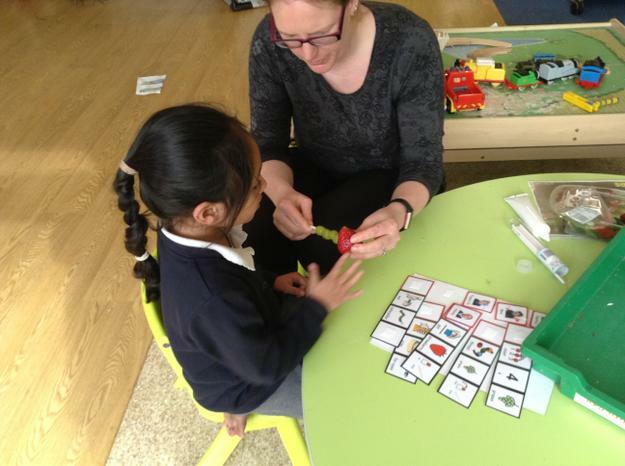 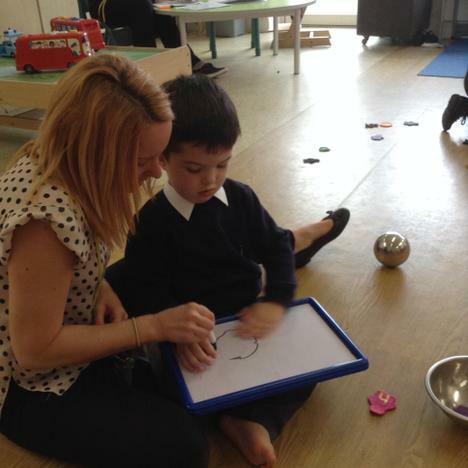 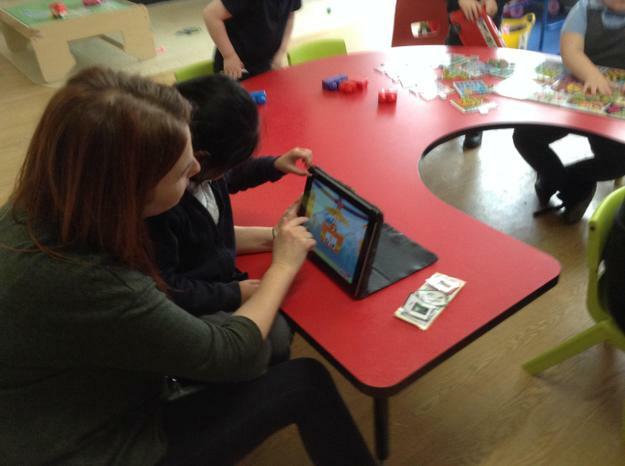 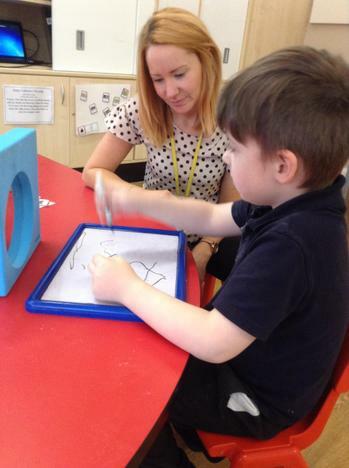 The children have also been using the IWB to make music and exploring different sounds and images on the iPad. 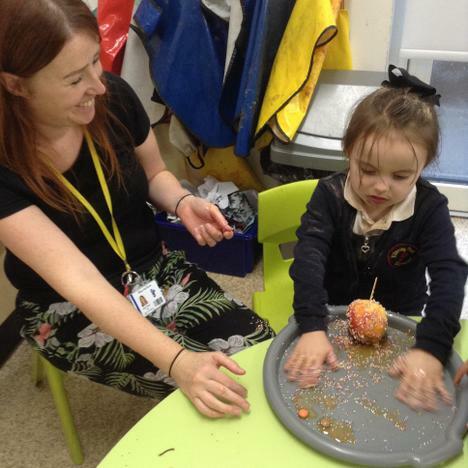 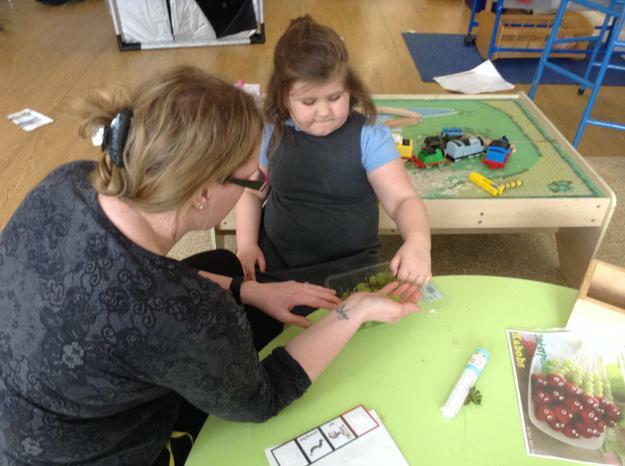 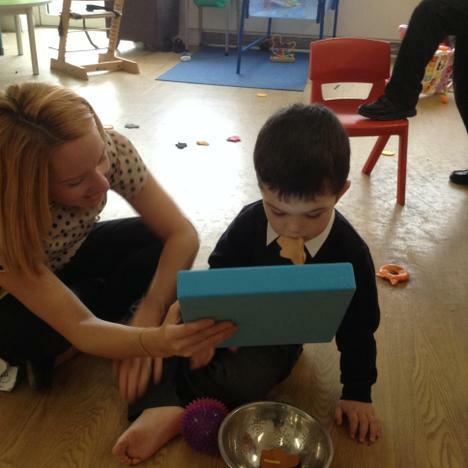 As part of our first topic about ourselves and our bodies we have enjoyed a science activity based on developing our sense of touch and different textures. 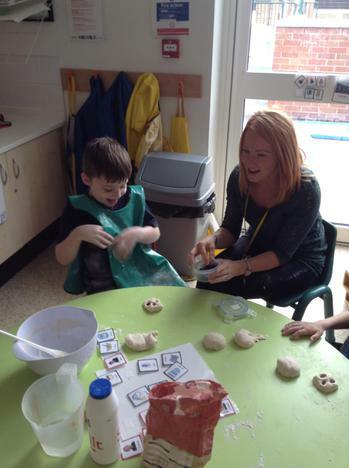 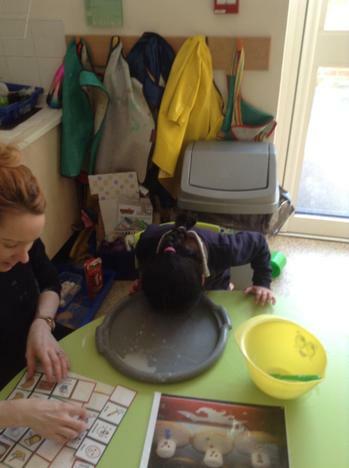 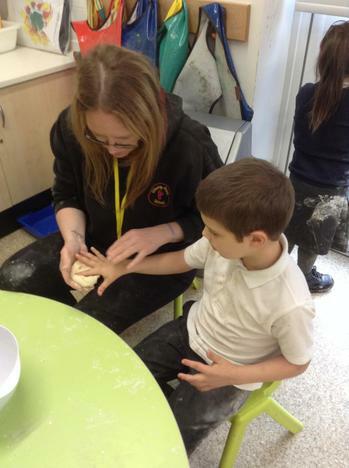 We did this by exploring wet and dry stimuli such as gloop, sand and saltdough. 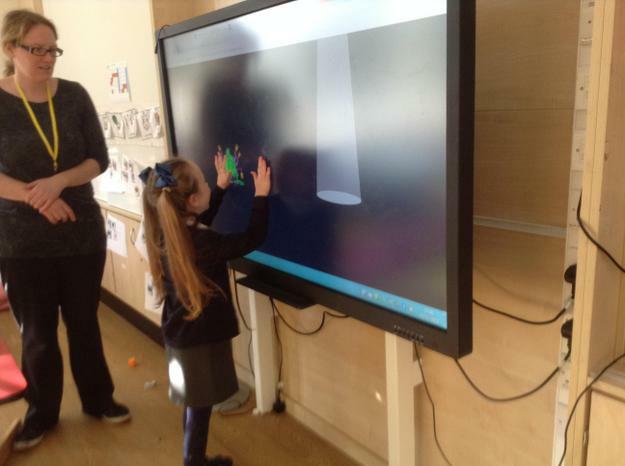 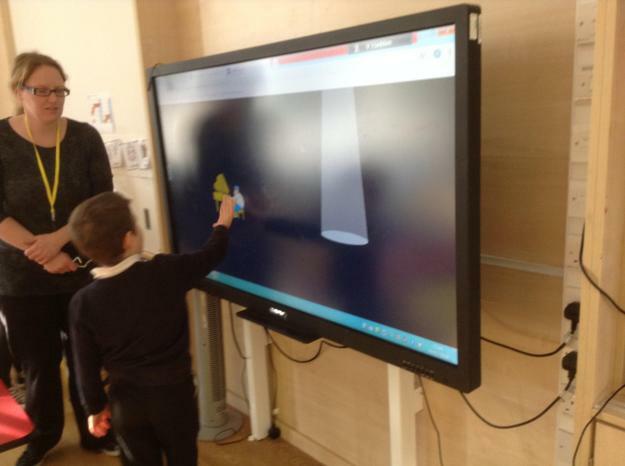 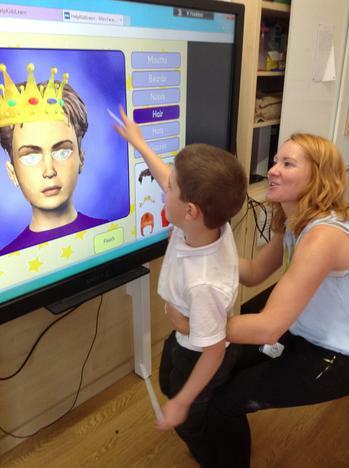 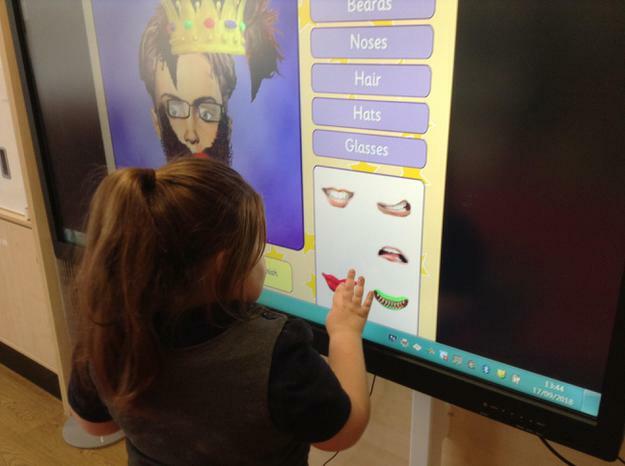 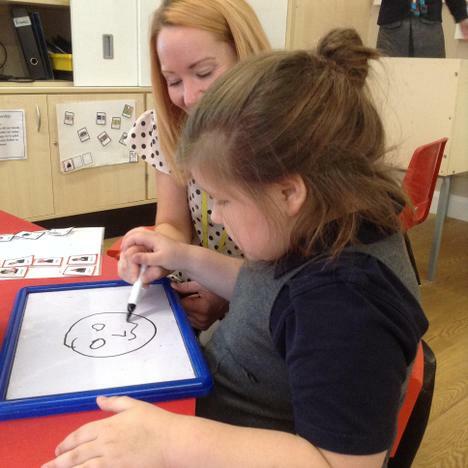 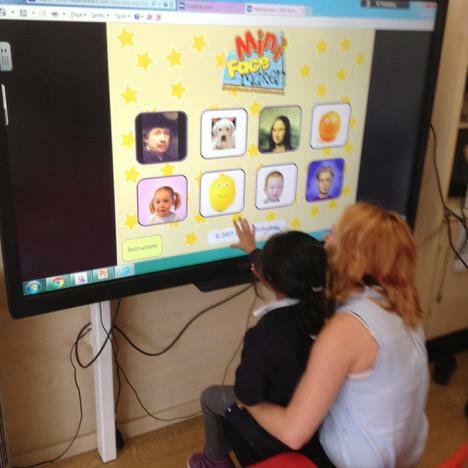 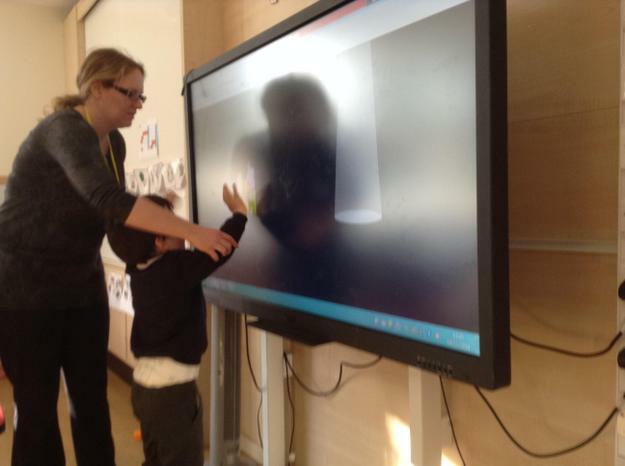 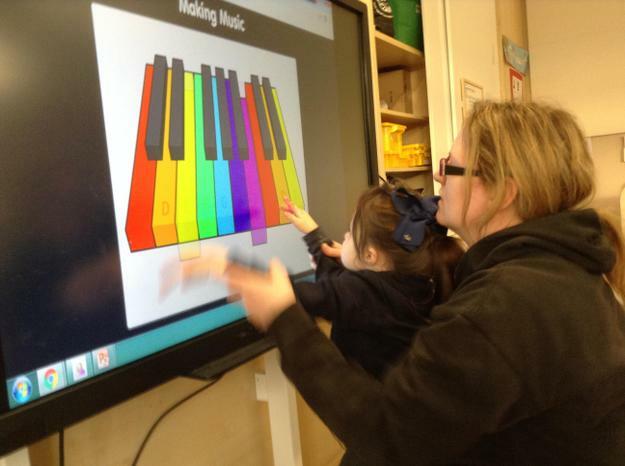 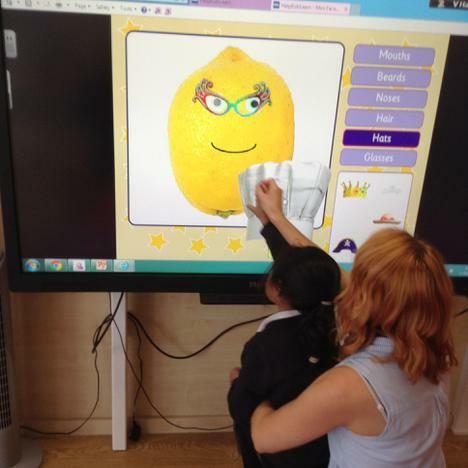 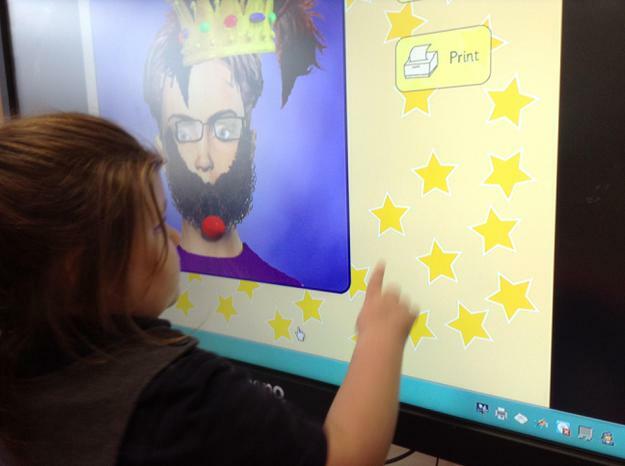 We also enjoyed exploring faces and features using the interactive whiteboard during a computing activity. 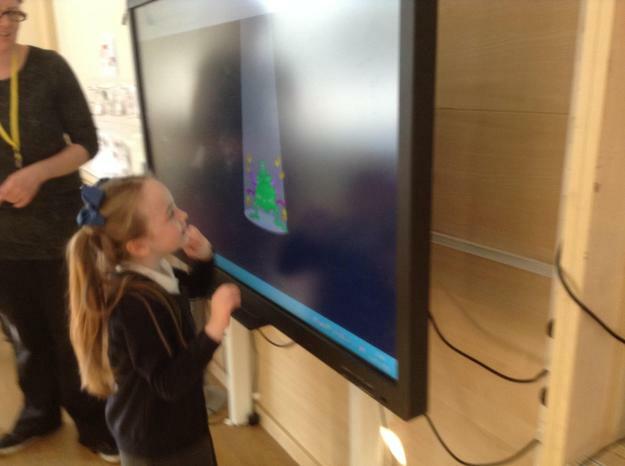 We were very good at using the touch screen to make choices and move things around on the screen. 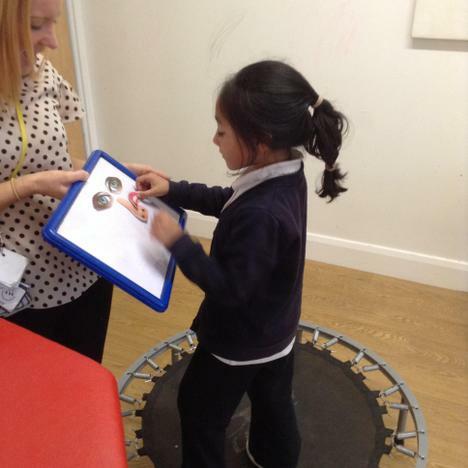 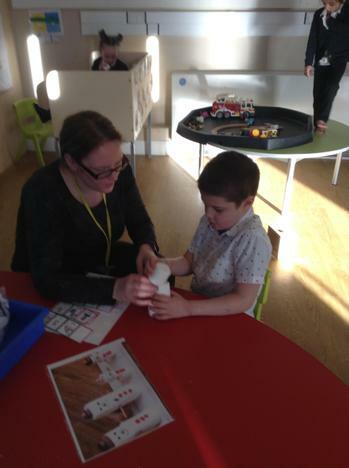 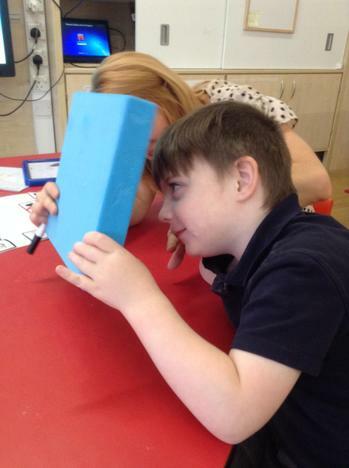 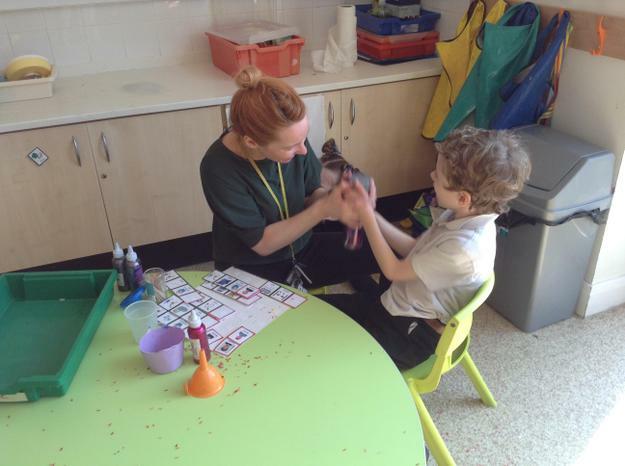 Lime class also enjoyed a science activity looking at our facial features. 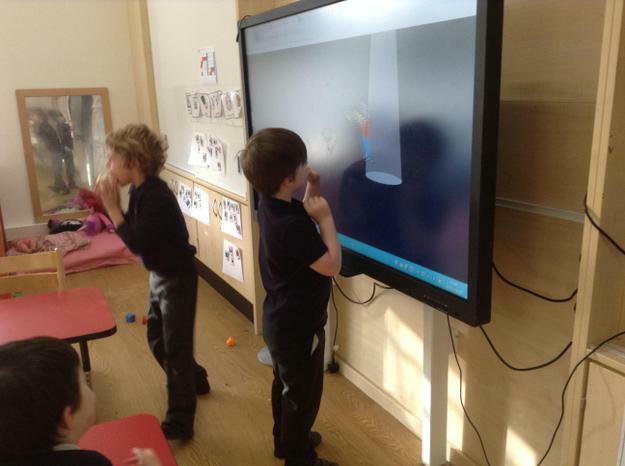 We looked in the mirror at our reflection first and then drew what we saw. 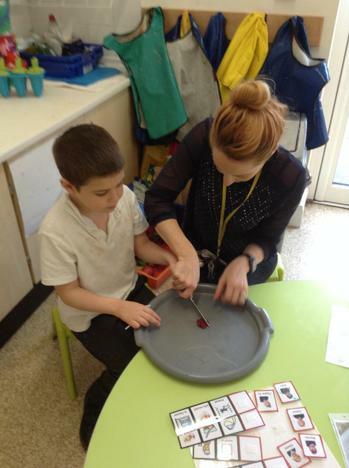 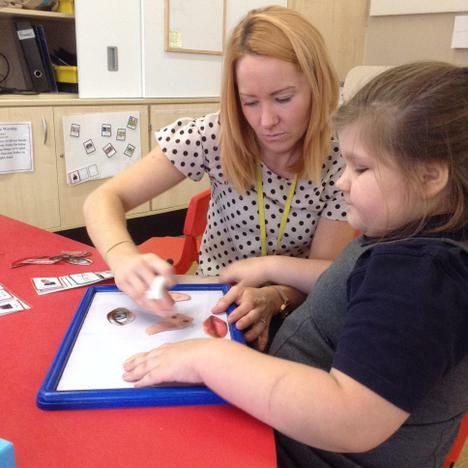 We then used magnetic features to create our own face.